So it has come to this. 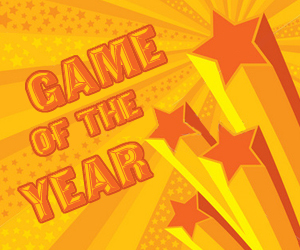 After weeks of deliberation, numerous categories and many headaches it all comes down to this final question: What is the best game released in 2011; What is the game of the year? If you’ve been keeping up with our coverage all this week you’ll know there is incredibly stiff competition and as usual as we run down each position, our writers will have their say on each title, telling you exactly why they think each game deserves the accolate of Game of the Year. We’d love to hear your thoughts and picks for this category too, so please leave comments at the end of the article. In reverse order then, from fifth place to the top spot, here is the GodisaGeek 2011 Game of the Year. Martin Baker: When you’re asking a comic book and video game geek to pick his game of the year you should be prepared for the most obvious answer in the world; Batman. That being said Batman: Arkham City truly is an excellent game, with a story line that engages the player, making them feel truly like the “World’s Greatest Detective”. With the amazing story and excellent gameplay you’d think that Rocksteady would have left it there, content with the product that they’d created. No. They added even more things to keep the player interested in the game and keep them playing. Riddler challenges, Riddles and many other things round out a game that not only caters to people like me but securely places itself as an easy Game of the Year nomination. Colm Ahern: Arkham Asylum remains my favourite Batman game ever. 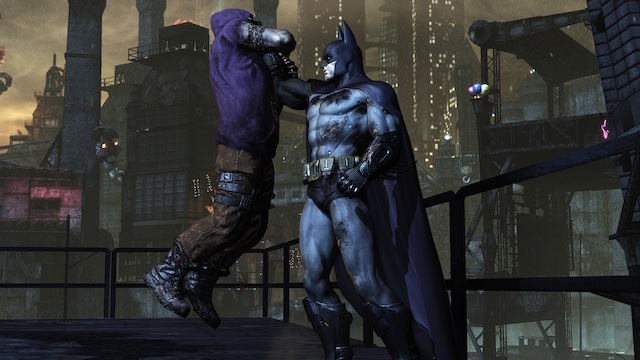 Arkham City was a really good game but lacked the magic Rocksteady found with the original. There were some plotholes I could’ve done without and some dodgy dialogue from Catwoman, but it should still stand as one of the best of 2011. It’s still cool to be Batman. Robin Parker: An end to the war as epic as it deserves, Gears of War 3 brings together all of the characters that we have learnt to love over the course of the series and they collide with the Locust for a dramatic finale. 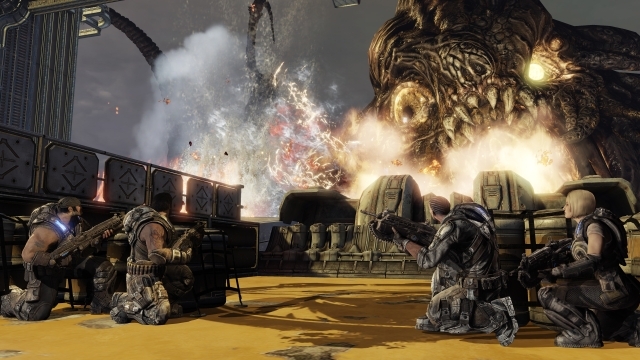 The gameplay remains largely unaltered since the arrival of Gears of War 1 years ago, but it is the communal gaming experience that has evolved as the multiplayer offerings in the title have improved and expanded in an impressive way. There are more options than ever when it comes to playing the game with friends – or even enemies. But it is in tying together all of the plotlines that have been dangling throughout the last two games, to produce a story that barrels along at a great pace – that the game shows its best feature. It is presented just like a good film, and EPIC have directed gamers exactly where they want them to look and how they want them to play through the title. There isn’t much room for free will and no branching decisions to make, but sometimes it is better to be taken on a strict rollercoaster than to wander off on an adventure of your own choosing – leaving the decision-making to the experts can lead to a finely woven game that pulls at the heart strings just at the right times. Tony Windebank: It was great to see the third outing of this title and it didn’t disappoint one bit. The story was gripping and fantastic, the multiplayer functions were outstanding and had plenty to choose from, excellent sound and graphically beautiful. It is a true masterpiece and it’s a shame to see the story end when we all want more. Sean Smith: The best ever single player game to utilise motion sensor controls, this is also for my money the finest ever game in the mighty Zelda canon, a massive adventure par excellence that adds a shedload of new ideas to a waning franchise, with a stunning plot packed full of incredible surprises, romance and unmitigated Link-based joy. It made me cry, it made me laugh, it caused my jaw to drop on more than one occasion. The best game released in 2011 by some distance, and a perfect swansong for the under-utilised Wii console. Lee Garbutt: Personally, the release of a new console Zelda title is a momentous one. 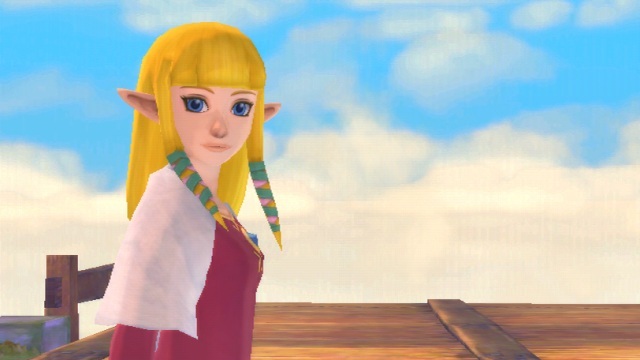 2011 has brought us Skyward Sword, and it more than lives up to the years of anticipation. Jason Hendricks: This game has wonderful gameplay, engrossing characters, and well refined locales. It strays away from the formulaic approach to the series without compromising the original cannon. A triumphant swansong for the Wii. Tony Windebank: Uncharted 3 is a truly outstanding piece of work with amazing action packed gameplay, a brilliant soundtrack and voice acting which gives the game that extra something to make it a fantastic experience. Usually in the best games you get one or two jaw dropping experiences that has you raving on about it for ages. Uncharted 3 however, has these jaw dropping moments in spades, with every moment drawing you in and entertaining in a way that I haven’t felt for a while in gaming. It truly is a inspired piece of work and is (hell, I’ll say it) a work of art. Jason Hendricks: The follow up to one of the greatest games of all time doesn’t dissappoint. Beautifully rendered levels and character animation. Cinematic set pieces unlike any other game. Great voice acting and an exciting story. It’s better than most movies these days. 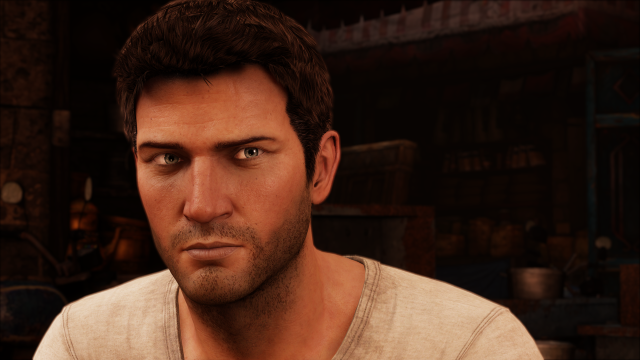 Colm Ahern: Being a self-confessed Uncharted fan, I was excited about Drake’s Deception and in many ways felt let down. Yes, the set pieces are there and the funny dialogue is there. But all in all, Uncharted doesn’t do shooting as well as Gears or melee as well as Batman. In saying that, I still enjoyed my time with Uncharted and enjoyed the laughs with Nate & Sully in what is possibly the best looking game of its generation. Robin Parker: Alone, the single player and co-op portions of Portal 2 would be great titles to play through. But when you realise that you have what amounts to two full gameplay elements squeezed into one package, you realise that Valve have really delivered more than anyone ever expected. Just like they did with the Orange Box, the developers have delivered more than gamers would normally expect, and the title really packs in a lot of gameplay time. The characters – both returning and new – keep the plot zipping along and makes you really want to complete your task successfully and escape from your predicament, against all odds. None of the protagonists – in both gameplay modes – speak, yet we empathise with them in their struggles against the unrelenting GLaDOS, and through her devious test chambers. The game will not only entertain you, but really require you to flex your little grey cells, as the puzzles can keep you stumped for quite some time – all the while without becoming stupidly difficult. You will often find yourself thinking “oh, thats how to do it!” after you missed an obvious solution, but that is part of the fun – working your way to a successful solution – through all of your failings. Lee Garbutt: Co-op mode, Animal Kings, Cave Johnson (LEMONS!) or the dangers of creating a pudding made from fibreglass. If you didn’t understand any of that, then you’ve been playing the wrong games this year. Stunning. Adam Cook: As if it weren’t enough that the single player campaign was funny (and genuinely funny, not “game” funny) and exquisitely acted by the main cast (Wheatley will probably go down in history as one of the most memorable game characters thanks to Merchant’s performance), Portal 2 brought us multiplayer. But even the addition of multiplayer wasn’t enough for Valve, they had to include cross-platform multiplayer between the PC and PlayStation 3. From start to finish Portal 2 is a stunning package, a worthy pick for any game of the year awards without question. Colm Ahern: Oh God…what to say about one of my favourite games ever…Valve have done it again. They took an excellent game in the original and tacked on a great story with Hollywood level writing, amazing story arcs for the characters and advanced the gameplay from just shooting portals at walls. I love Chell, I love GLaDOS, I love Cave, I love Wheatley, I love Portal 2. 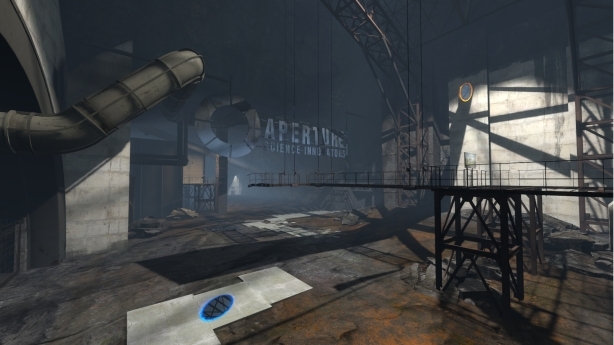 Martin Baker: Portal 2 was a game that just about everyone was excited to play, the first Portal had been little more than a tech demo for the portal technology and only lasted a couple of hours, although a few more maps were released at a later date. The second venture into the Aperture Science labs promised to be much more story driven with increased challenging, more toys to play with and even more characters. While the game was as amazing as it always seemed it was going to be, the aspect that really set it apart from the rest of the games this year was the integration with Steam, not to mention the fact that people that bought the game on the PlayStation 3 system were automatically entitled to a free copy of it on the PC/Mac. Portal 2 was hopefully the first game in a long line of games to add the Steam integration, it’s an excellent addition to the PlayStation Network and one that I would like to see in other games. If Portal 2, and all the characters that appeared in the game didn’t already make it a Game of the Year contender then the addition of Steam certainly would. If you still haven’t played Portal 2 and want to play it on the console, be sure to get it for the PlayStation 3. This draws our game of the year awards to a close – if you’ve missed any of the categories you can click here to see every game of the year related article.